1. Jain, a 1989 batch MP cadre IAS and currently JS in financial services department under finance ministry, has been appointed as joint secretary in PMO for the balance period of his central deputation, i.e. till June 28, 2016. 2. A high point of his career is his long association with Madhya Pradesh chief minister and rising star in BJP Shivraj Singh Chouhan. Between 2005 and 2011, he was attached to CM’s office as secretary. Jain is considered a confidant of Chouhan. 3. Jain, 49, originally hails from Madhya Pradesh, and got MP cadre too. 4. A B. 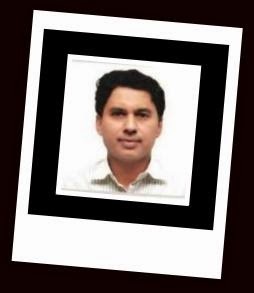 Tech in electrical engineer from IIT-Kharagpur before getting into IAS, Jain later had a masters degree in public administration from Maxwell School of Syracuse, USA (2004). 5. He served as collector in three districts: Mandla, Mandsaur and Bhopal. 6. In Madhya Pradesh, he was commissioner in department of health and was also secretary, information and technology department. 7. He has been serving as joint secretary in the department of financial services since June, 2011. 8. He was the interim CEO and interim MD of IFCI Limited (May 2013 to July 15, 2013), apart from being a non-executive director of Punjab National Bank. 9. He served as acting chairman and acting MD of Export-Import Bank of India (December 2013 to February 2014). 10. He also served as director at National Insurance Company Limited, Small Industries Development Bank of India, Irrigation and Water Resources Finance Corporation and National Insurance Company Ltd. He is an excellent officer.All the best to him for his new asssignment. He will prove as one of the best officer in PMO. He is honest as well as intelligent. I have heard a lot about him as a bright officer. I wish him good luck. Mr. Anurag Jain is a most wise, inteligent, honest and matured personality in my views till date I have not seen such jentleman/sober person. Lot of hope from him for not only our country but also for whole mankind of this world. I had worked with him when he was an engineer and we remains for long time together and at that time he was shown our villegers life by me at near. Hope he has lot of his best vision to leads our nations for better way and my heartily best wishes for him.